Self-contained ‘Evolution’ video trading cards make this a blockbuster release! Carlsbad, CA (April 15, 2011) – The Upper Deck Company knows how to get autographs into the hands of its football-crazed collector base. Inside its just released 2011 Upper Deck Football set, the company that started the signature card craze more than 20 years ago has opened up the flood gates with this year’s standout rookie class! With autograph cards from this year’s top football freshmen like Heisman Trophy winners Cam Newton (Auburn, 2010) and Mark Ingram (Alabama, 2009), Jake Locker (Washington), Ryan Mallet (Arkansas) and Blaine Gabbert (Missouri) falling at an average rate of three per box, Upper Deck’s newest sports card release is certain to be a crowd-pleaser. 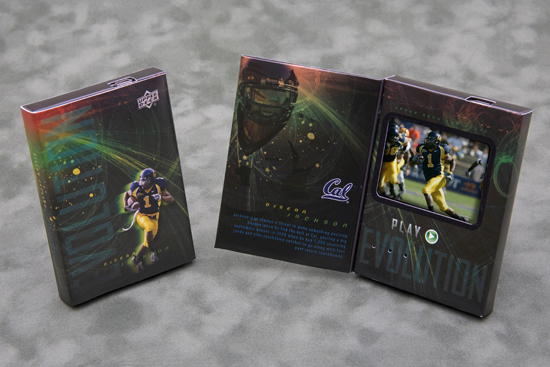 This week’s launch also signals the official unveiling of Upper Deck’s first-to-market “Evolution” video trading cards, which are randomly inserted into various boxes of 2011 Upper Deck Football. Each of the ground-breaking video cards, which measure 2.5” wide x 3.5” high x 0.5” thick, includes 60 seconds’ worth of highlight reel footage featuring one of four standout players: running back Adrian Peterson (Oklahoma), quarterback Tony Romo (Eastern Illinois), wide receiver DeSean Jackson (Cal Berkeley) or hard-hitting linebacker Patrick Willis (Ole Miss). 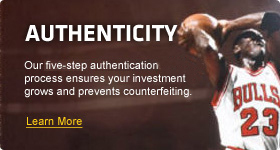 Upper Deck chose to utilize its exclusive agreement with the Collegiate Licensing Company, signed in 2009, to unveil the new technology. That’s why each of the aforementioned players – and their video footage – is shown during his collegiate playing days. But wait; there’s even more inside Upper Deck’s latest football set. Taking a page from yesteryear, the sports card leader created a special 200-card “20th Anniversary” insert collection that features past, present and future football stars utilizing the classic 1991 design from Upper Deck’s original football offering. The throwback cards, which showcase former college greats like Troy Aikman (UCLA), Steve Young (BYU), Alan Page (Notre Dame), Bo Jackson (Auburn) and John Elway (Stanford), fall at an average rate of 1:2 packs. As for the coveted rookie autograph cards, they come via three sought-after inserts: “Rookie Letterman Signatures,” which include hard-signed versions of varied numbering; “Star Rookies,” which falls 1:10 packs; and “Ultimate Collection Rookie Signatures,” which is the scarcest of the three autograph inserts. 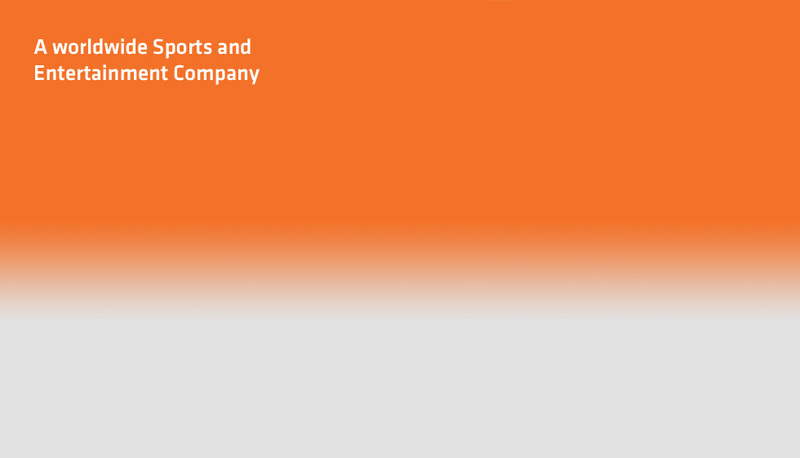 Upper Deck chose to utilize its exclusive agreement for use of university trademarks and trade dress with The Collegiate Licensing Company, signed in 2009, to unveil the new technology. That is why each of the aforementioned players – and their video footage – is shown during his collegiate playing days. Upper Deck’s 2011 Football set holds six cards per pack and 20 packs per box and is currently available on store shelves.